Hari Om. 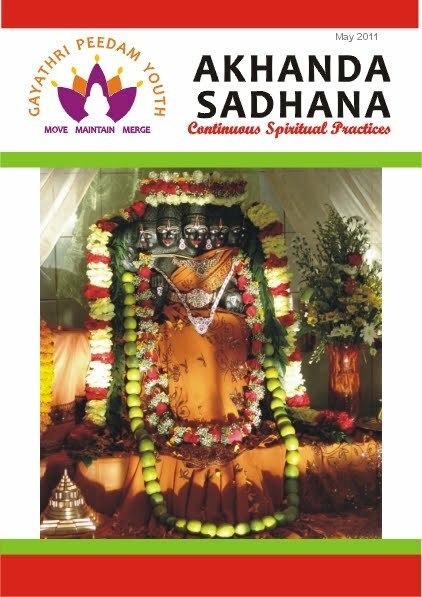 Welcome to the last issue of Akhanda Sadhana for 2011 and thank you for being a part of our magazine. We wish you a blessed and safe holiday season and an abundant 2012. From the Gayathri Peedam Youth. 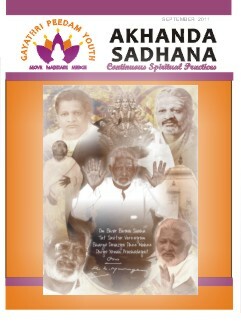 Please enjoy the October 2011 issue of Akhanda Sadhana. Just click the cover on the left to download, read, keep and share with friends and family. 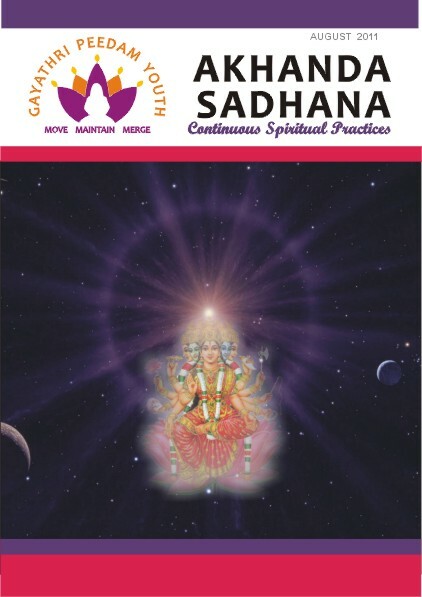 Welcome to the July 2011 edition of Akhanda Sadhana. Click on the image to view the magazine and share it with your family and friends! 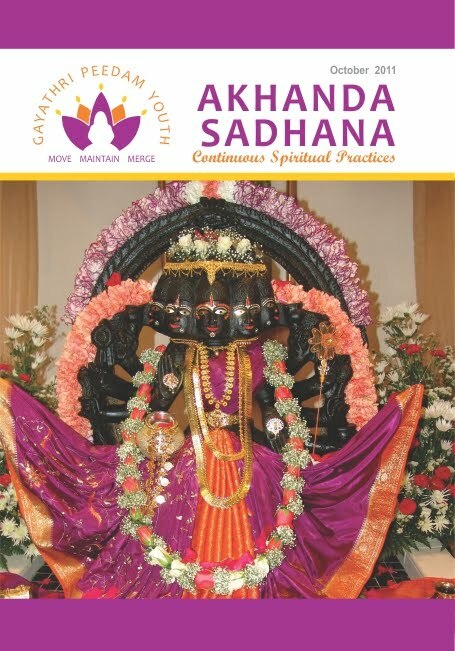 Please enjoy the May edition of Akhanda Sadhana by clicking on the image below. Remember to share with friends and family. 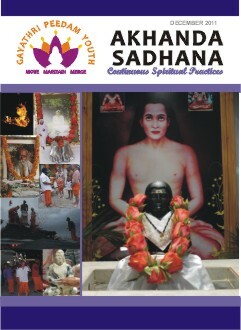 Namaste and welcome to the April 2011 edition of Akhanda Sadhana. Just click on the image to download and enjoy. 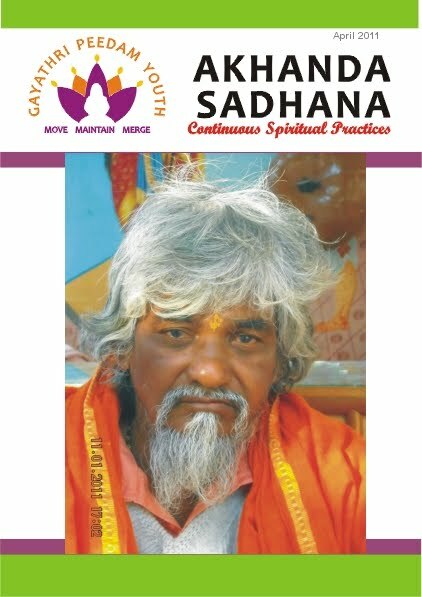 Here is the March edition of Akhanda Sadhana. Please click on the image to download it. Remember it's free so share with all your friends and family. 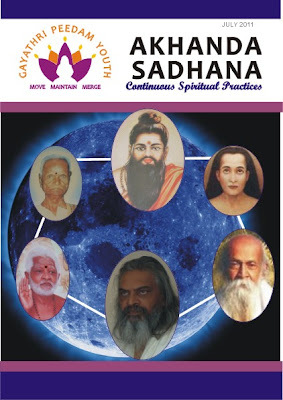 Happy February full moon from the Gayathri Peedam Youth Club. We hope you enjoy our latest offering. Remember to share the link with all your friends and family. 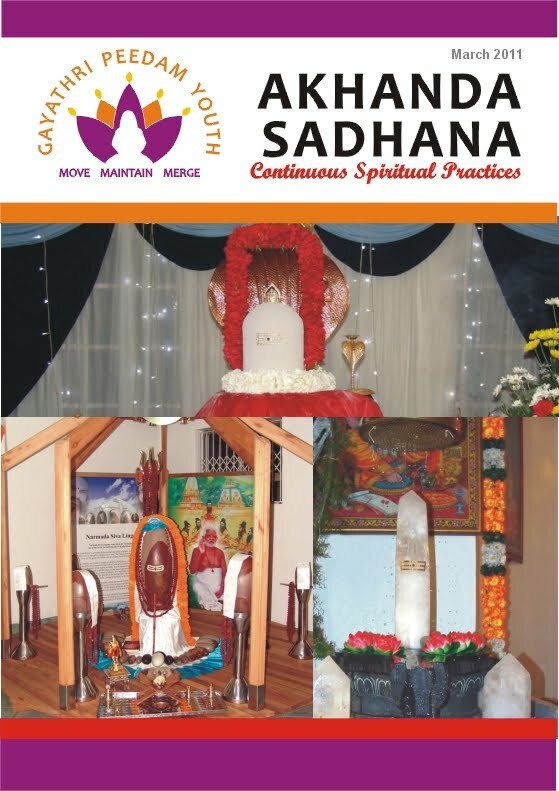 Welcome to the very first edition of Akhanda Sadhana magazine by the youth of the South African Gayathri Peedam. To download the entire magazine for this month, just click on the cover image below.